A cold war Russia (Sicilia) and a 70's trailer park in Canada (Bohemia) became the settings in Anita Rochon's hip take on The Winter's Tale. 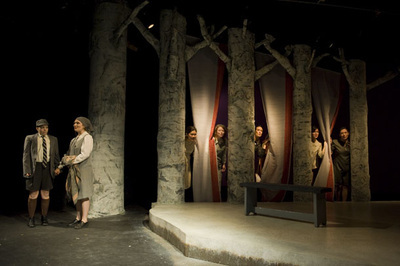 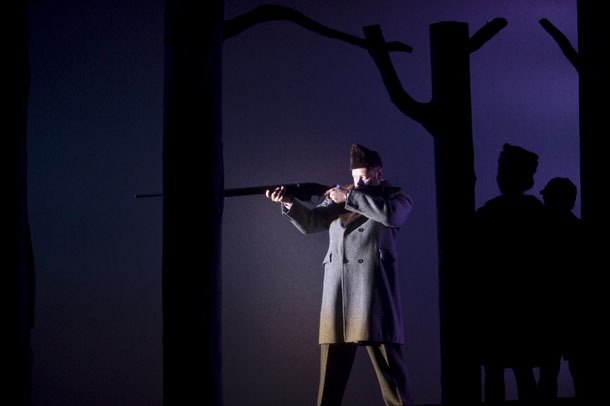 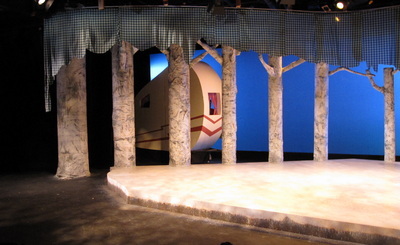 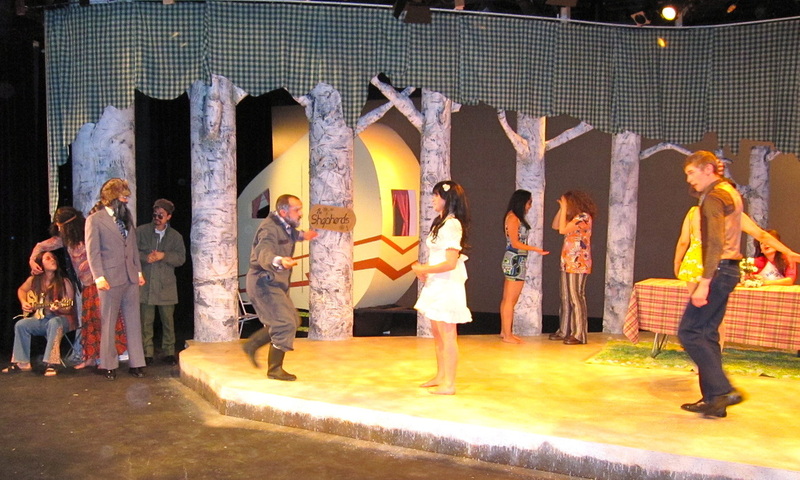 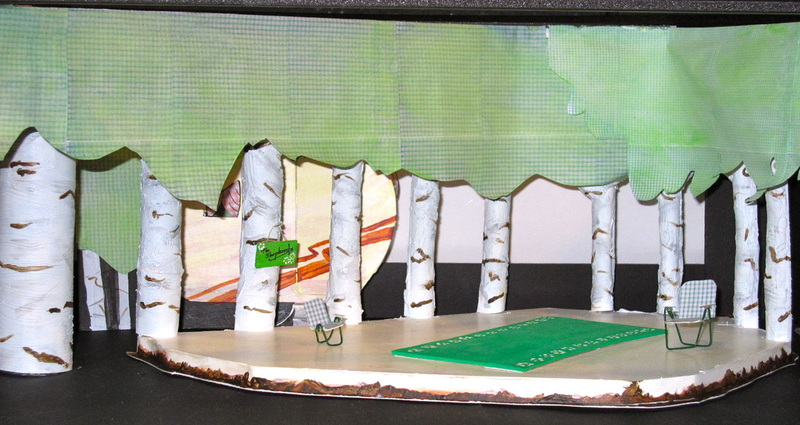 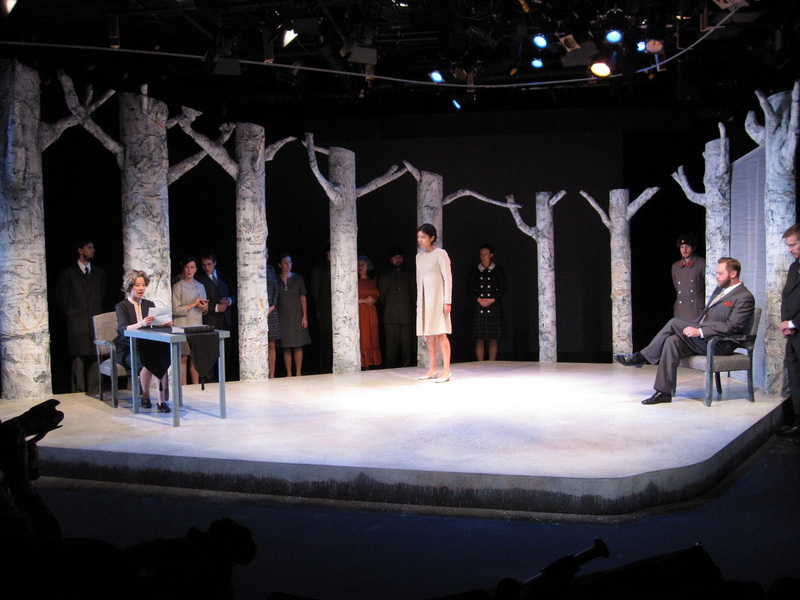 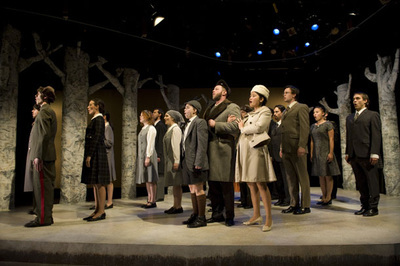 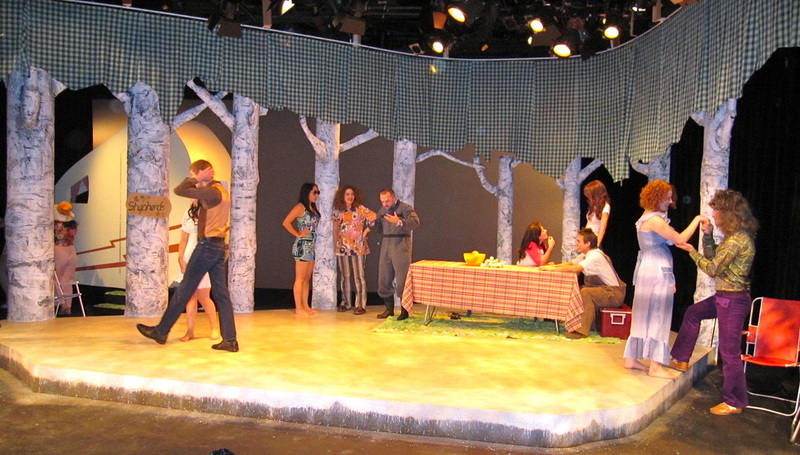 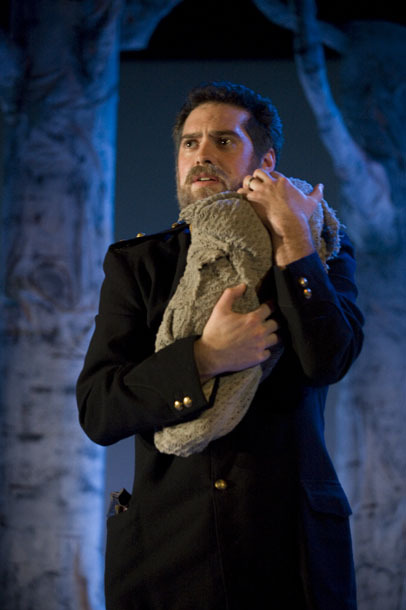 Winter birches in a kind of forced perspective became the basis of the design serving as trees or pillars as required, with cloth banners providing removable walls to quickly reconfigure Sicilia for the many scene changes, while green gingham "curtains" rolled across to top the trees in Bohemia. 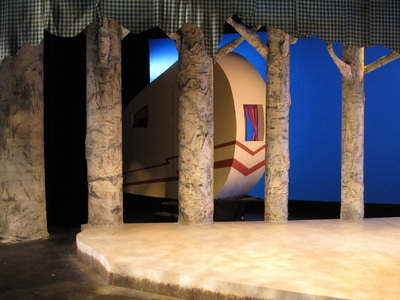 The "clowns" home and the base of the festivities in Bohemia was a "canned ham", a trailer (again in forced perspective) complete with would burnt sign "The Shepherds". 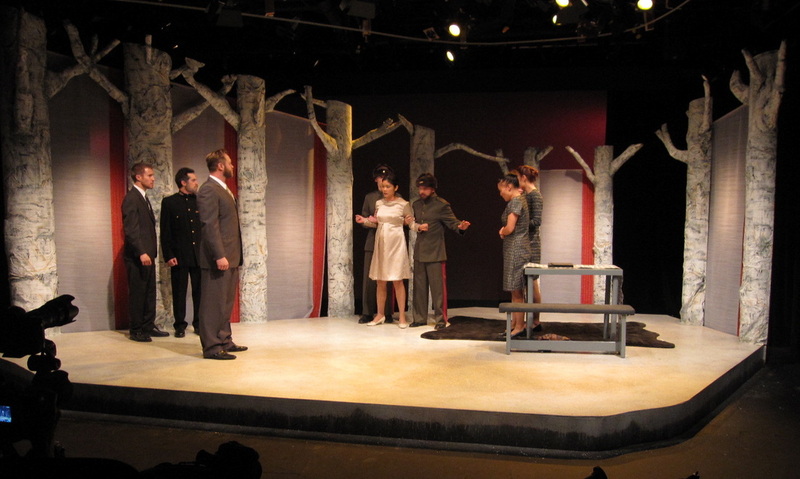 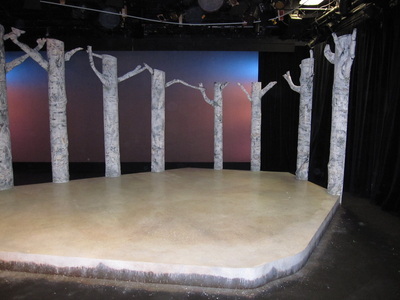 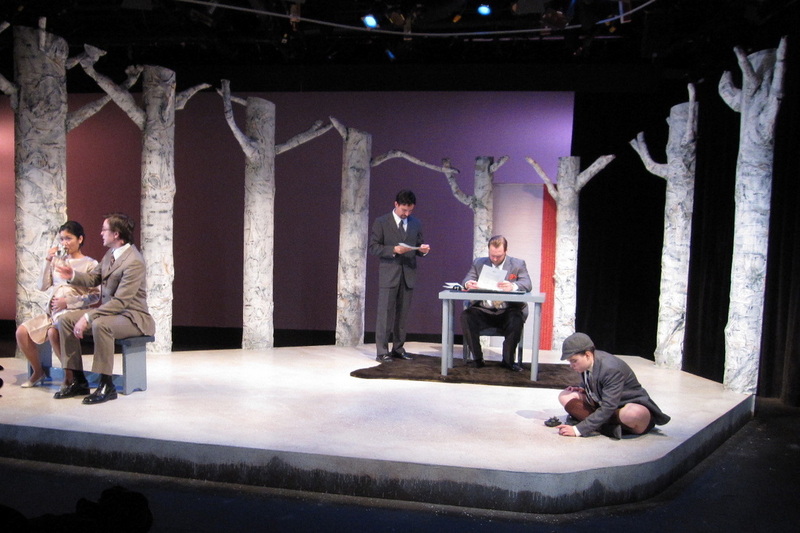 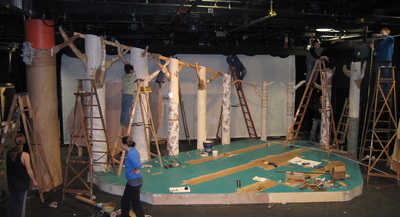 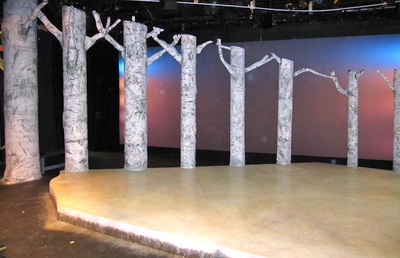 The trees were hand crafted and painted by Studio 58 students from sonotubes, wood, and wallpaper. 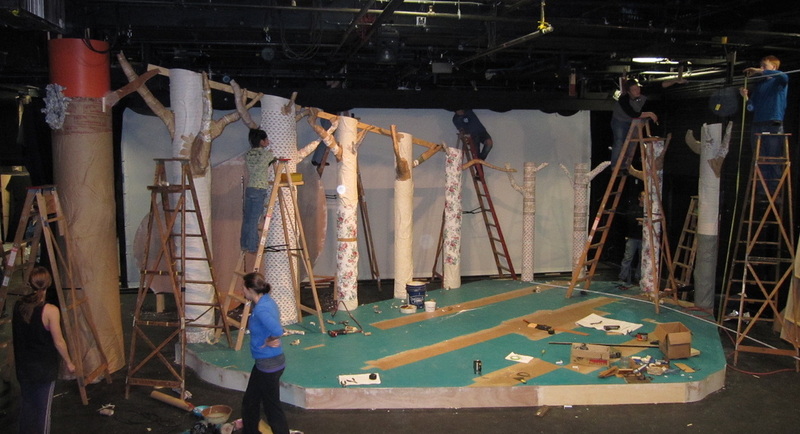 The dedication of the students (mostly non-production students with little to no experience in set/prop/costume construction) at Studio 58 never fails to excite and impress me. Of course it helps when the technical support provided by Bruce Kennedy, Carol Chrisjohn and returning grad Robin Richardson is so high. Photos by the designer except as noted by David Cooper. The "model" comes to life.